The Loud family's life is a bit exaggerated, but at its core it deliveries the message love your family for who they are. A message I think we can all get behind. Meet the Loud family - a family full of love, chaos, and craziness, and with all of that under one roof, one thing is always for sure: there is never a dull moment in the Loud house! 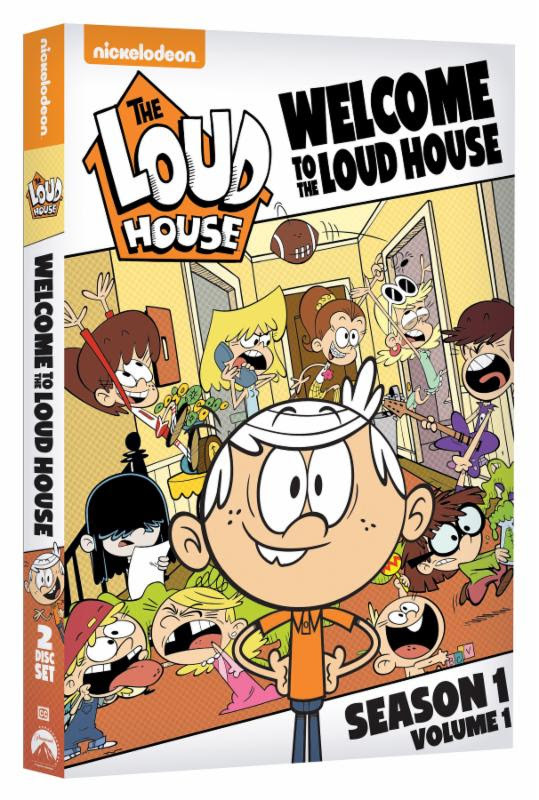 The brand new DVD, Welcome to The Loud House: Season 1, Volume 1, introduces Lincoln Loud, an 11-year old boy who is the middle child of 10 sisters. The Loud House follows Lincoln and his sisters for an inside look at what it takes to survive growing up in a huge family. Lincoln remains the man with the plan to stay one step ahead of the chaos, but whether or not it works is where the adventures begin. 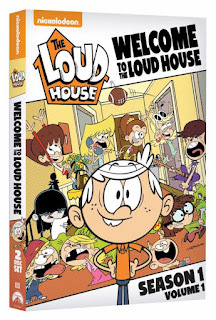 This 2-disc release of Welcome to The Loud House: Season 1, Volume 1 contains the first 13 episodes of the first season and is full of family fun and laughter. Produced by Nickelodeon Home Entertainment and distributed by Paramount Home Media Distribution, Welcome to The Loud House: Season 1, Volume 1 will be available on DVD May 23. Inspired by creator and executive producer Chris Savino's (Rocko's Modern Life, The Powerpuff Girls) life growing up in a family of 10 kids, The Loud House is the first series to be greenlit out of Nickelodeon's annual Animated Shorts Program. Season two is currently premiering on Nickelodeon, home to TV's top two animated kids' shows with Kids 2-11 and Kids 6-11, SpongeBob SquarePants and The Loud House.